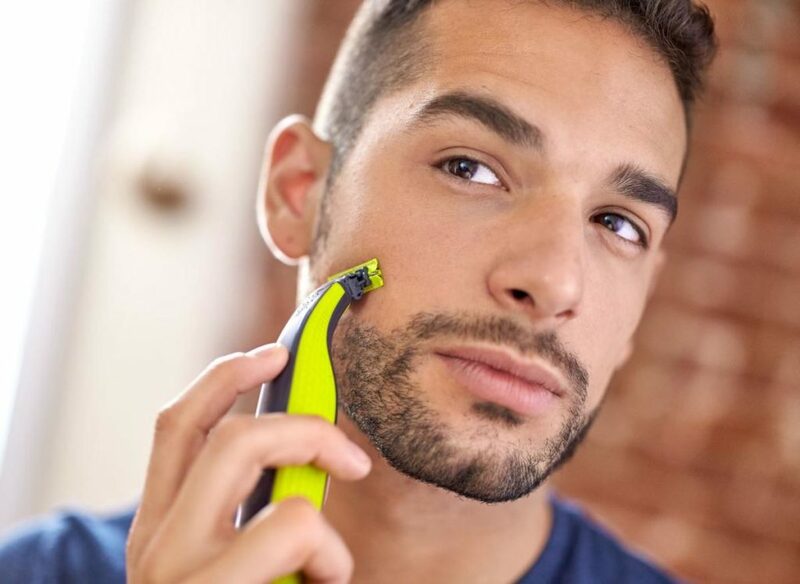 This fall I’ve been working with Philips OneBlade singing the praises of an easy to use shaving tool that can help you trim your beard. Most times, when working on blog campaigns, it’s a feature/benefit sort of relationship. The blogger has a problem in their life that, omg, the remarkable branded product solves! They sing the praises to their followers and their influence leverages huge sales for the brand! Yay! However, the kind of community I work in tries to do things differently. 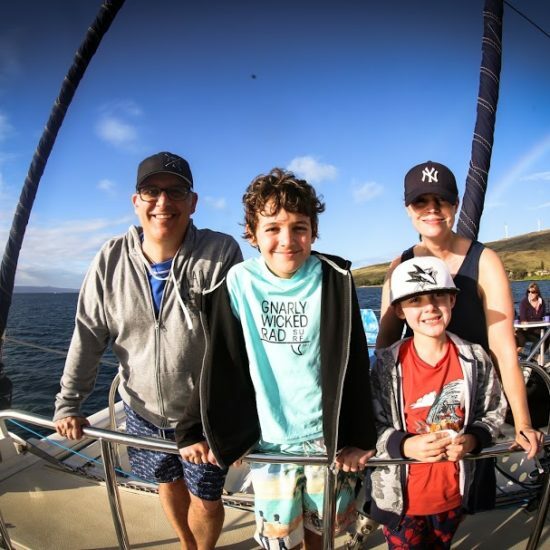 Dad Bloggers pride themselves on taking a branded product and weaving it naturally into our storytelling. 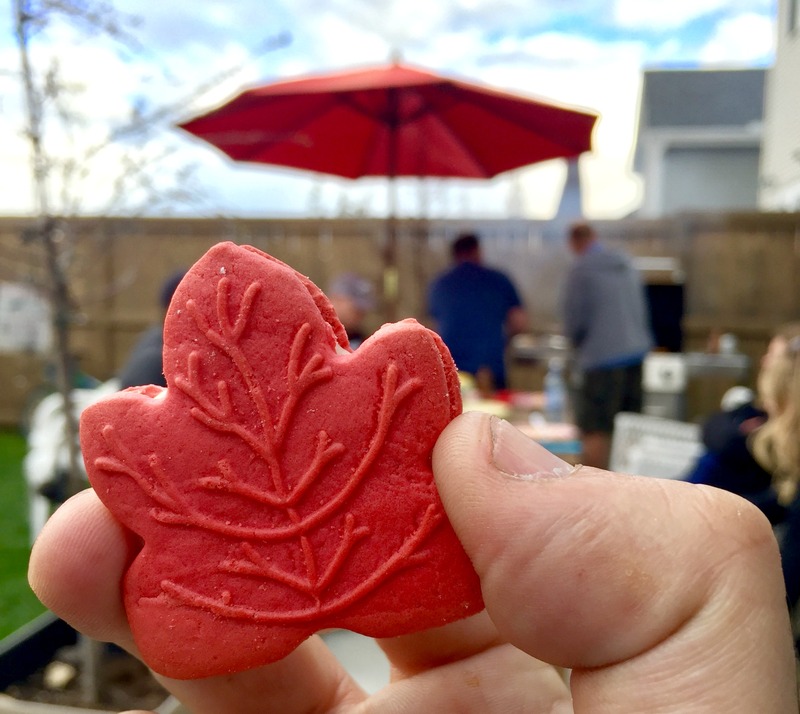 We try not to come off as commercials with cut and paste press release fodder about brands, we try to weave the product into our natural stories. Sometimes the brands you work with let you stick to your voice and messaging, sometimes they want a more traditional approach to branded content that puts the focus on the product. I’ve worked with both kinds of clients and let me tell you, the brands that let bloggers have fun with their products, the brands that take the chains off the product messaging, the brands that let you be yourself are the ones we like to work with. Which brings me to Philips OneBlade. 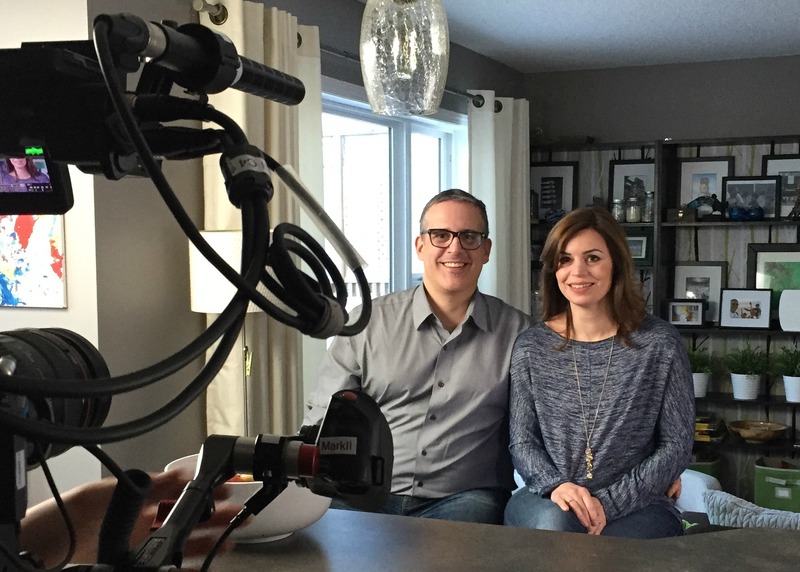 I got the pitch back in the spring, and after brainstorming with some dad friends came upon a number of different angles to tackle the campaign with all of them focused on spending time with my kids. That’s what this blog is about, right? It’s a place where I tell the stories of life with my kids. I talk about them learning to read, scoring their first goals, going on adventures, and more. When I think of shaving, I think of myself at 8 or 9 standing next to my dad in his bathroom watching in awe as he performed the ritual. 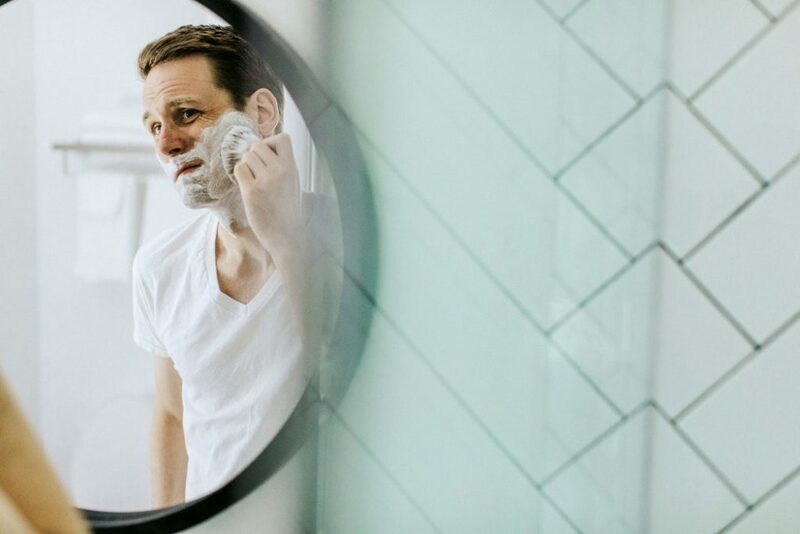 The puff of the foam from the can, the raw sandpaper sound as he scraped his cheeks, the clink of his old metal razor on the sink, the fizzy sound of the intermittent faucet rinsing his blade. All of those sounds are distinctly attached to my father and time spent with him. So, I thought, how can I tie this new Philips OneBlade to time with my kids? In addition to a traditional review / explanation of the product, I pitched a video series that would have me shaving alongside men in my life. I imagined it to be like Comedians In Cars Getting Coffee, and called it Dads Talking To Kids While Shaving. My dad wasn’t interested in coming on camera, but I did do shoots with Zacharie, Charlie, and my grandfather. The idea was to spend some time just talking about .. stuff. Charlie and I talked about his thoughts on future inventions. With my grandfather I talked about why old man wear their pants so high and what it was like shaving while on a ship in WWII. With Zacharie we discussed Harry Potter and his love of animals. We had the chats while I shaved and casually mentioned the Philips OneBlade. Men don’t talk to each other enough. The idea was to inspire some good old fashioned male bonding around a uniquely male ritual, and I love that the brand let a promotion of newfound masculinity take the stage over their razor blade. The other series was silly. In the vein of Will It Blend, Charlie and I did a series called Will It Shave. 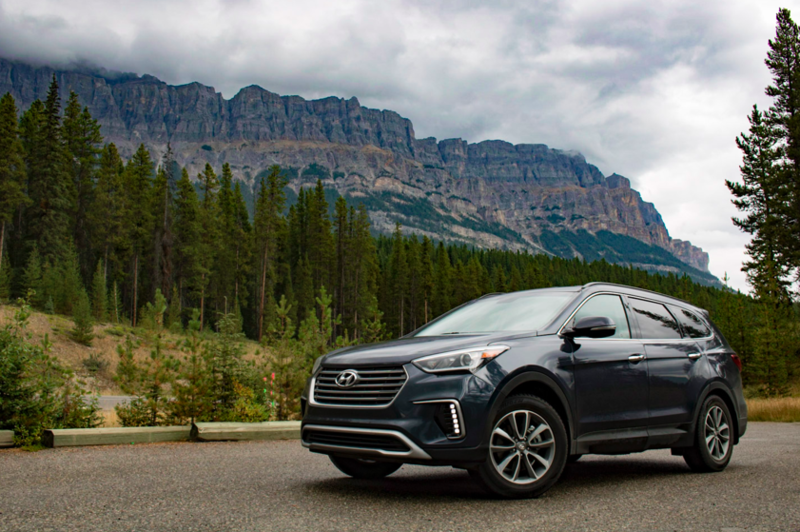 The idea was to test out the versatility of the Philips OneBlade while we took a road trip from Vancouver to Calgary. We stopped in corn fields, orchards, and fruit stands showing off the flexibility of the Philips OneBlade in a silly way. Again, while the razor was a little more in focus in this series, it really was about the unique sense of humour father and sons share and 2 guys goofing off. Charlie loved it. I loved it. And the brand let us do it. So as the campaign came to an end, I pitched one final product promotion to the client: a trip. The entire campaign I crafted for Philips OneBlade was about celebrating moments between fathers and sons. It was about strengthening relationships, getting to know each other, and being silly. What better way to do that than on a road trip? Charlie’s favorite team is the San Jose Sharks. It happened by accident. One year, as part of another brand promotion, I asked him to pick a team to win the Stanley Cup. He was 6 and picked the Sharks because, well, he was 6 and sharks sounded cool. As the Sharks went all the way to the Cup final that year, he got hooked. 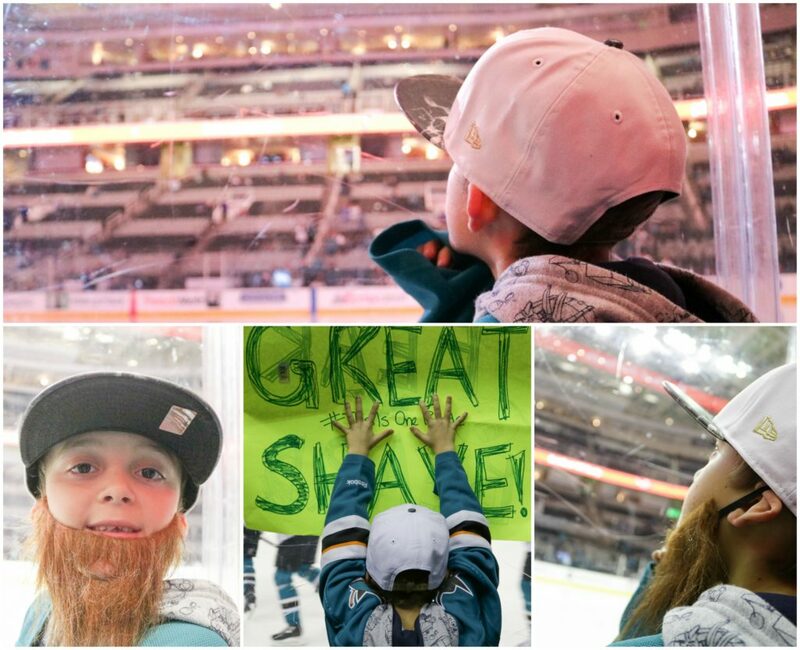 The following season we went to a game when the Sharks came to town and he got up close against the glass cheering for Joe Thornton. I mentioned to Charlie that, one day, it would be fun to go and see a game in San Jose, and this fall he got to cash in that promise. I pitched Philips on the tie-in because of the big massive beards 2 of the San Jose Sharks players are famous for. 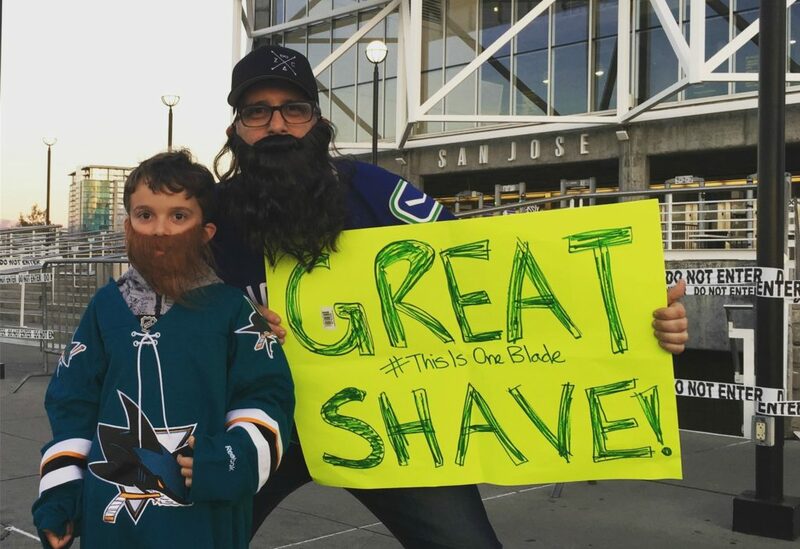 Brent Burns and Joe Thornton have some of the most fearsome facial hair in the league making them the perfect things to try and tame with the Philips OneBlade. 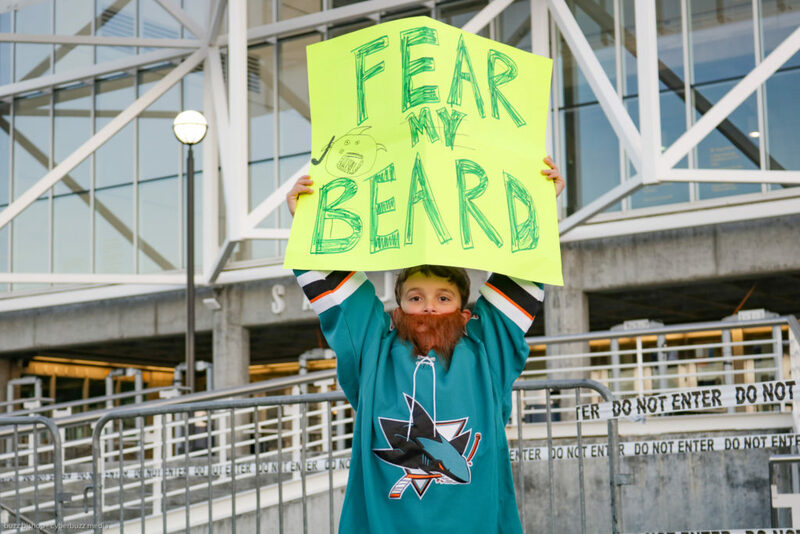 Charlie and I got suited up, put on big fake beards, and made a sign to cheer on the team. I sent some emails to radio friends in the Bay Area trying to connect with the players to make our product pitch more personal, but it didn’t come through. No matter, this weekend road trip was about spending time together. We stayed up late, got up early, ate street tacos, went to an earthquake simulator, built robots, and watched hockey. We got up close to the glass in warm up, Charlie got handed a puck from a fan, and we just .. .. spent time together. The product tie in came through a pre-trip video and some hashtags and social mentions. It was really just having Philips OneBlade alongside the adventure we were on. So the moral of the story, and it really should be obvious, is simply: be authentic. I know every keynote for the past decade has pounded this mantra into the social media consciousness as if it was revolutionary, but it really does remain true. For many bloggers, their style is to cut and paste a press release, hashtag to hell their blog titles, and put little to no effort into their content other than to churn it out like a factory. That’s not good enough. You need to find a voice, share your stories, and bring something creative to the table. As branded content becomes more pervasive on the internet the only thing that will save us from drowning in ads is if we all just tell our stories, be ourselves, and find real, natural, creative ways to bring brands into our storytelling. I’ve worked with brands who have everything on lock down, wanting approval a week or two ahead for every piece of content. This kills spontaneity. There’s no “in the moment” creative spark that is allowed to flourish. Everything is written, edited, sent for approval, and re-written. By the time it is posted, a week or longer later, the moment is lost. Philips let me run with things. They let me take their brand and product to a place that wasn’t all feature/benefit but was real and true to the stories I share and the commitment I have to raising empathetic boys who aren’t afraid to talk. If a brand is going to hand over hundreds, or thousands, or tens of thousands of dollars to an influencer to endorse the product, it’s because the brand wants to be part of that world, not the other way around. Brands need to loosen the strings, let the creator create in the way they always have, weaving the brand story along the way. The sounds of my dad shaving instantly take me back to my childhood. Me, standing at his hip, marveling at the routine of adulthood and dreaming of what it would be like to be grown up. 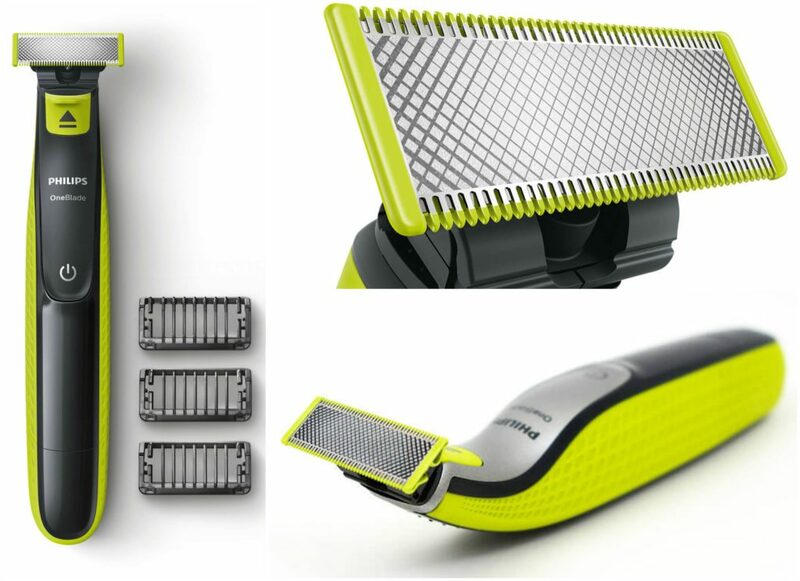 The sight of a Philips OneBlade razor will now do that for me with memories of goofing with my sons and grandfather. Thanks Philips OneBlade for sponsoring my post series and letting me run with my inspirations to take your brand and product in a direction that worked for my brand.